GameTruck delivers onsite activities that draw your family closer together through play. GameTruck's mobile video game theater pulls up to your house, park, or campus for some serious onsite fun. Game Coaches help get everyone into the games, and our wide range of video games means there is something for everyone. 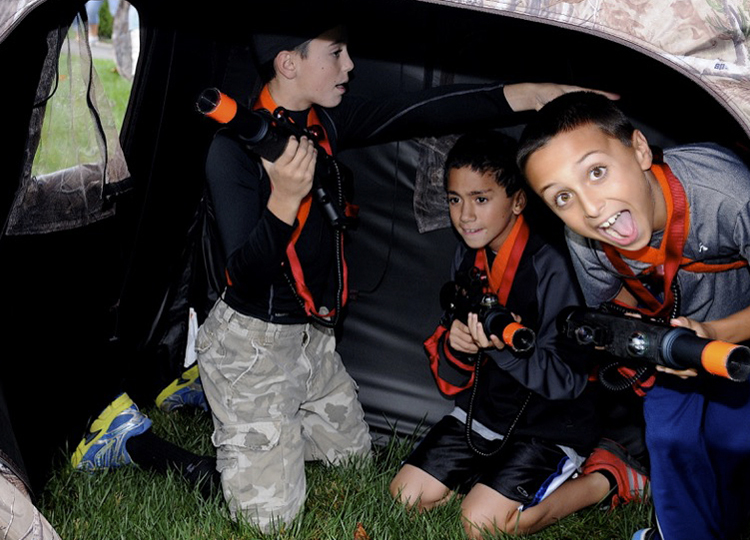 GameTruck outdoor laser tag equipment can transform your yard into a challenging laser tag arena. Team based missions' get everyone working together. Super accurate equipment means players can tag each other from up to 300 feet away! Equipment training, setup, and breakdown, is all included. Your Game Coach will even referee your event to keep it fair and fun. 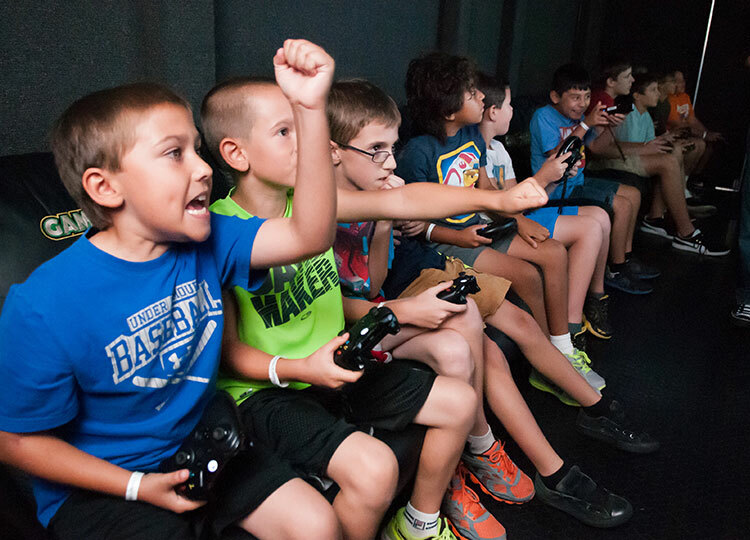 If you are looking for an awesome experience for you next family reunion, GameTruck can help you reconnect through play! Add the latest in high tech video game technology to your event. With titles that appeal to all ages and tastes, a GameTruck video party can make your family reunion one for the ages. Let the rival factions in your family challenge each other with GameTruck powered LaserTag. Our referees keep the conflict clean and provide fun tactical missions. 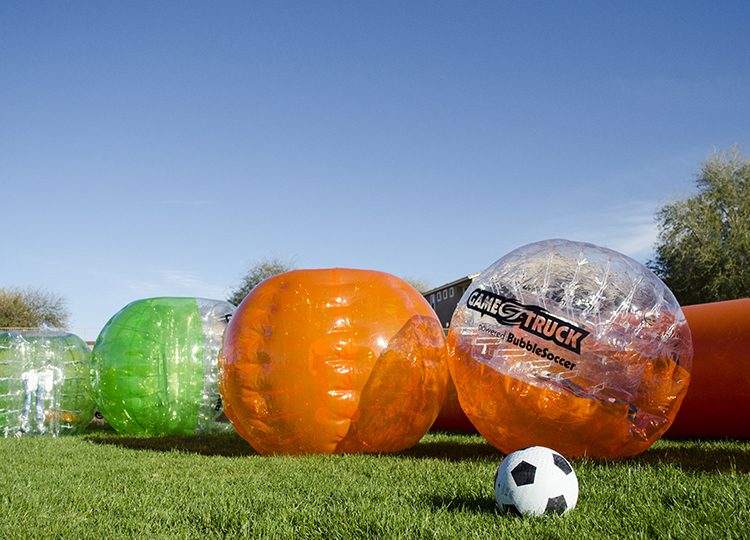 Get out and play together with GameTruck powered BubbleSoccer. With adult, teen, and child sized bubbles, the whole family can participate in this physically demanding activity.